This stroller is the perfect size and seems really comfortable for my daughter. 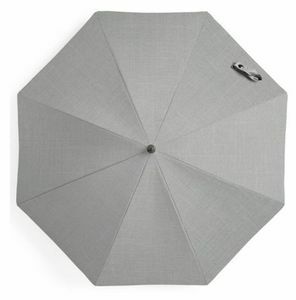 It folds easily and is great on many different terrains. We bought this just before my daughter was born and definitely put it through it's paces, even flew it internationally and used it on the streets of Europe. After almost 3yrs of daily use the breaks started to act up and a screw broke on one side of the handle bar. I wouldn't have imagined that using the warranty wouldI result in me receiving a completely new stroller! It was very simple and the entire process took about 2wks. with shipping the old stroller and receiving the new. Stokke has great customer service and their warranty is amazing! 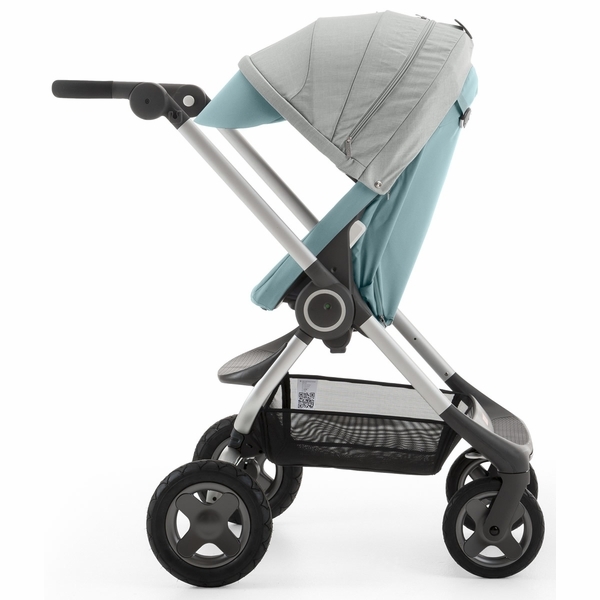 ConsStroller is very sturdy, but can be a bit heavy to maneuver when folded. Stylish and modern design, simple to steer, comes with a shopping basket underneath. 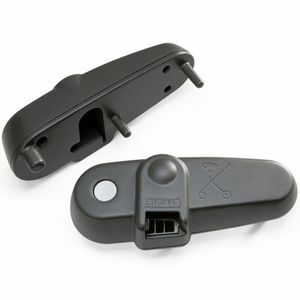 High quality, works well with infant car seat and adapters and seat sits high, can use as high chair ! Just what I expected. So beautiful and not even heavy. The stroller is so stable to stroll. Easy to fold and unfold. It's a bit heavy but manageable. We did a lot of research on baby's stroller. Both my husband and I like Stokke very much. Scoot is not as expensive as Xplory but still have high chair for the baby. 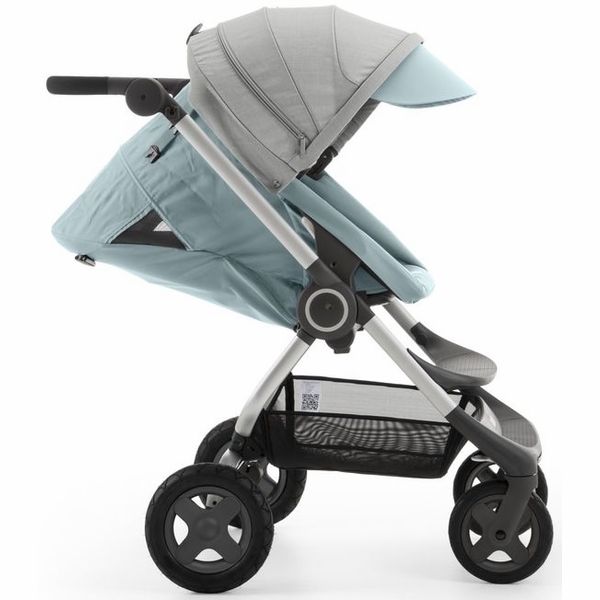 Also, it is not as heavy as other Stokke stroller. Easy to install, easy to fold, no need to take the seat out first. 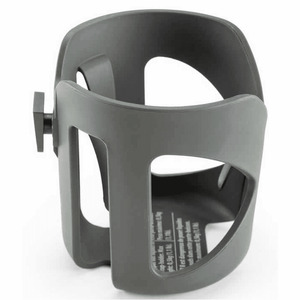 ConsNo handbar for baby to hold or to hang some toys. I love this stroller so much. It is come with mosquito net and rain cover. No need to spend extra money to buy those. And it is easy to push . I can use one hand to push. 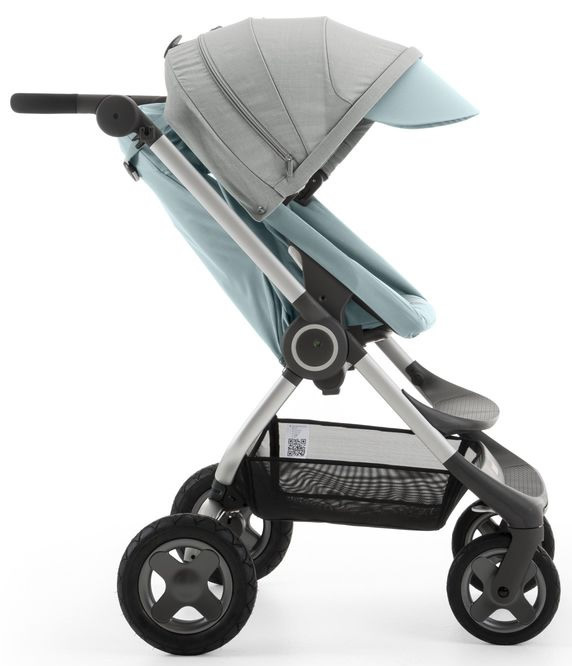 After test driving many strollers in stores, we chose this sleek and lightweight stroller. It is very impressive for the price. It still feels sturdy and easy to put together and take apart and carry to and from the car. Cannot wait to take walks once the baby arrives! 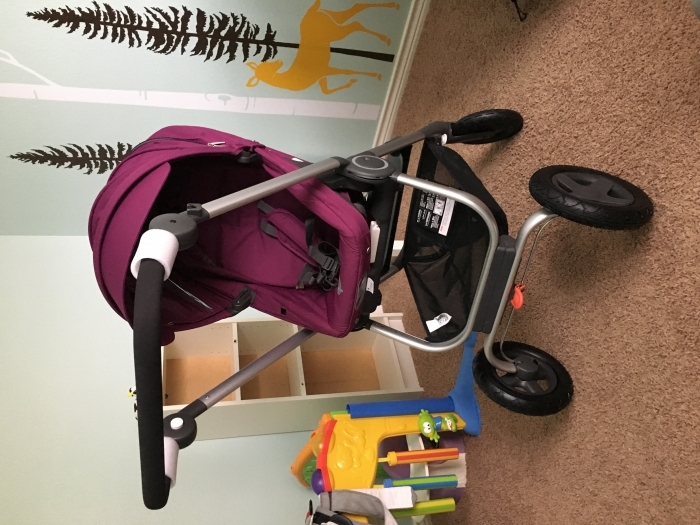 It was missing the front two tires when we received it, but Albee Baby was on top of it and contacted Stokke immediately and we got them a week later. I needed a stroller that was easy to fold and store in my small car trunk, and the scoot is perfect. It looks great and folds very easily with one hand. They materials look high quality and durable, the wheels are huge and work great. I only wish it had a bumper bar or tray for the baby. It's so simple to assemble and it has everything you need!We read many reviews that was suggesting that it was an heavy stroller but we didn't feel that.It's convenient and relatively affordable for what you get. This is a great stroller. Easy to assemble. Looks great. Love the extended warranty! We were excited to purchase the stroller and it has lived up to the hype. The only disappointment is that the stroller makes a noise when rolling. I'm not sure if this is due to the breaks rubbing or not, but the sound is annoying. I bought the stroller a few months ago and is in general ok with it. But I think there are a few things that you can improve. The rain cover is very bulky and hard to put on top of the canopy. When fully pulled down, the canopy does not stay in place because there is no lock. When locked at the down position, the handler requires both hands to open, which is inconvenient. And my hands got pinched badly a few times by the handler lock when I thought the handler was locked down while it was not. 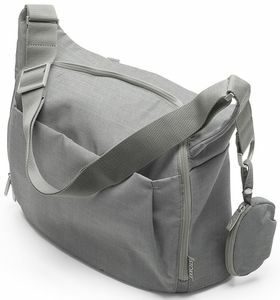 the seat belt is very hard to adjust and almost impossible to pull them through the slots in the stokke infant bag. Lastly, the seat can only be adjusted for three positions and the adjustment is done too manually. The stroller is great, rides nice, looks good... the only thing I wish it had was a snack tray. I was a little disappointed in this stroller. It is a nice stroller but very simple. It's just a plain stroller. The seat is hard and not padded or with very little padding. The reclining position is uncomfortable for my 5 month old, if we don't strap him in he will slide off and he is pretty big for being 5 month old. The harness seems cheap and easy to break. I feel like I just paid for the brand. We absolutely love this stroller. We initially had the Stokke xplory but decided to switch to this one because this one folds so easy and also had the basket underneath. Biggest plus is the huge wheels comparing the previous stroller. If you're on a fence on which one to buy, def buy this one!!!! I had the pleasure of purchasing the v2 scoot in BLACK MELANGE in NYC 2 years ago when it first came out. I must say I definitely jumped the gun on this one without doing much research. At the time my baby was only three months old. We've had it now for almost 2 years and everythig still works like it is from day 1. The color is amazingly beautiful! It's very modern, chic, classic, and stylish. While unboxing I remember my dad couldn't stop saying how nice it was. Everything was packaged separately in the box and so it was easy and a breeze to put the whole thing together. Everything were like puzzle pieces that plugged right into eachother. The seat that came in was already assembled and just clicks right onto the base with green indicators on the side for a safety lock.The folding takes a little breaking into. Which I have found some reviewers complained about. Initially we couldn't fold the whole thing at all but after a little practice the buttons gets Looser / smoother. 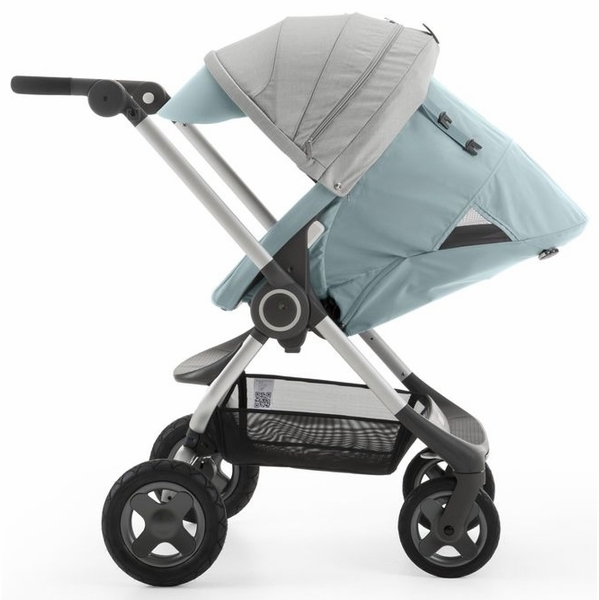 It pushes pretty well and smoothly & seems very light even with the baby on it. 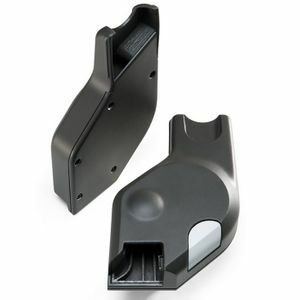 The frame is compact enough that it folds small and it fits tight spaces. Height is also perfect to sit on table and use it as a high chair. Which we have used many times than using restaurant's often dirty high chairs. The only cons I have is that when it folds, the canopy sits right on floor so make sure you're not folding it on dirty / wet/ muddy places or your canopy will get dirty / wet / muddy. Be warned that this is not a light stroller although it folds as one system and fits right in the car. The product weight, says it's around 24 lbs, but feels like 50 lbs for me lol. I initially wanted the red but eventually we opted a beautiful neutral color that my husband wouldn't mind pushing and im glad we did! This pram is well made, built to last, and grows with your kid! The stroller is functional the handle is convenient. However it is not light weight and not made for anyone that lives in NYC and does not have a car. It is difficult to close . It is heavy. The location for the diaper bag is not convenient either. Brought this when the little one was a few months and now she is 8 months. The stroller is very well made and rolls great. For the price you don't even get a cup holder not even one. It just need more accessories that fit better and it would be a winner! In love, currently still using car Nuna car seat with stroller. Love how easy it is to push, light weight and easy to fold. Two things broke off of it already and it was about the third time that I used it for my grandson. I bought my stokke scoot last year and I am in love with it. Aside from the fact that its a bit heavy , I have no real issue with it. Originally I wanted the Crusi but I am highly satisfied with the Scoot. I bought this stroller when I had my daughter and fall in love with it instantly. This stroller is very easy to fold. The handle can be adjusted to three different levels and baby have three different options she can recline to. I love that I can easily reach her and I have the option to face her two different ways. My daughter is now a year old and it still works and looks brand new. It's a great stroller! 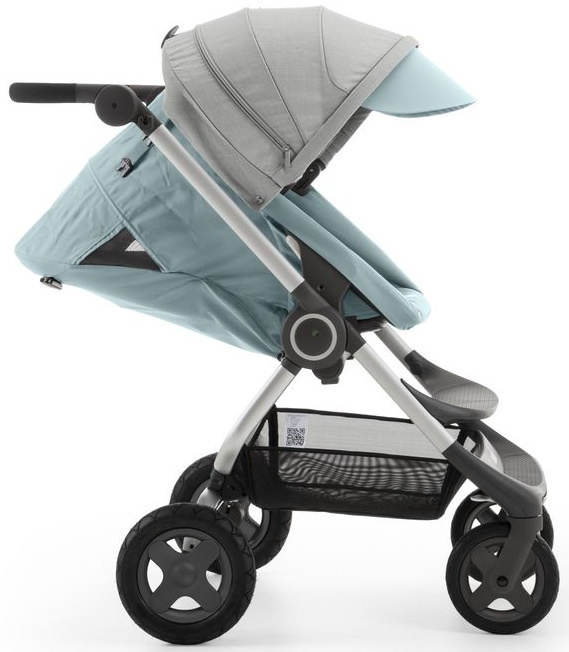 I love everything about Stokke, practical, simple and the color matches everything. It's easy to handle as well as my nuna by PIPA car seat fits right into the strollers existing attachments!! By far worth every penny! 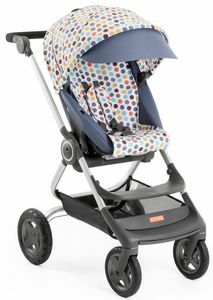 I recommend all Stokke products to all parents, it's stylish without being over the top!! Love love love!! 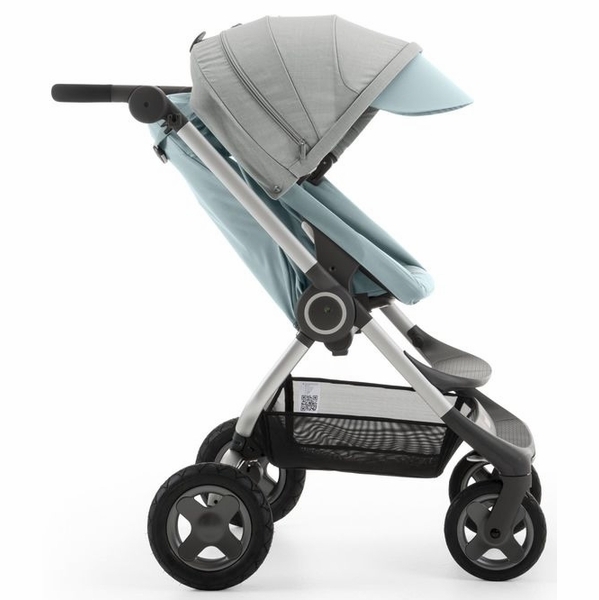 Been using the Stokke Scoot for 9 months now and it is an amazing stroller. Truly a work of art and a beautifully engineered machine. I had a very good shopping experience at Albee Baby. There was an issue with my payment that was successfully and rapidly taken care of via email. Great customer service. Product shipment and conditions excelled my expectations. I recently purchased the Stoke Scoot V2 Stroller after doing a lot of research. It was easy to put together, as well as take down. The stroller is very well made with quality components, and I expect it to last quite some time. I am extremely pleased with the product! ProsEasy to put together and take apart. Quality material and parts. Not too heavy. 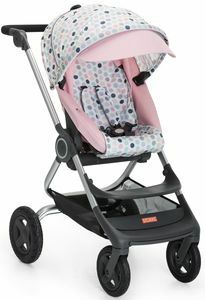 I just received this stroller in Black Melange color. I visited offline store to test handling and by far, this stroller had great handling at affordable price. Store associate explained that this tires will work just fine at around anywhere-park, street, mall, and more. I'm so excited to carry my baby around in this stroller! ConsI wish the recline seat were one hand. 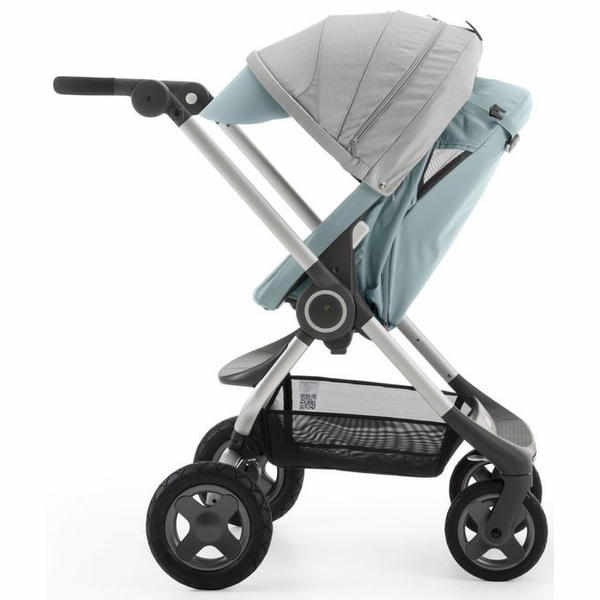 It is recommended from my friend, who compared bugaboo bee3, stokke xplory and this stokke scoot. It is lighter and easier to fold and unfold. Best offer online at price $419 without tax. 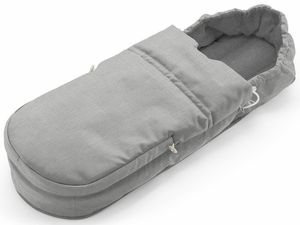 Best UsesVery easy to fold and unfold without taking off the seat and taking up little space in the trunk, easy to go. Easy assemble, Easy folding, Easy control. But little bit heavy. (After folding and when I lift the stroller). This stroller is amazing: relatively light weight, easily folded, easy to maneuver even in the tightest stores of NYC. Love the stroller! Its very simple and easy to adjust and use. The material of stroller is good and the color is so bright. My wife loves it. Hope my baby will love it. after doing a lot of research i decided on purchasing the stokke scoot. i wanted one that was easy to use and compact. this one seems to do the trick! i love how easy it is to remove the seat and fold and the handling is very nice. my baby is due august and i can't wait to put him in :) ! It is said that this stroller is particularly good, I quickly order. The stroller across the ocean to the China. I was especially satisfied cart! Satisfied my desire for baby stroller. Gray was ordered, but out of stock. Customer service is very timely notice of me, and helped me change the purple, is also very beautiful! Unfortunately, I changed my stroller's color, but the color of the sleeping bag did not change. Didn't know to take on it will be beautiful. With reclining two-way seat and compact folding design, Stokke® Scoot is the smart and ideal solution for a smooth ride around the city and for traveling. Stokke® Scoot with its compact size, user-friendly handling and swift maneuverability makes your on-the-go lifestyle more enjoyable and playful with your baby. 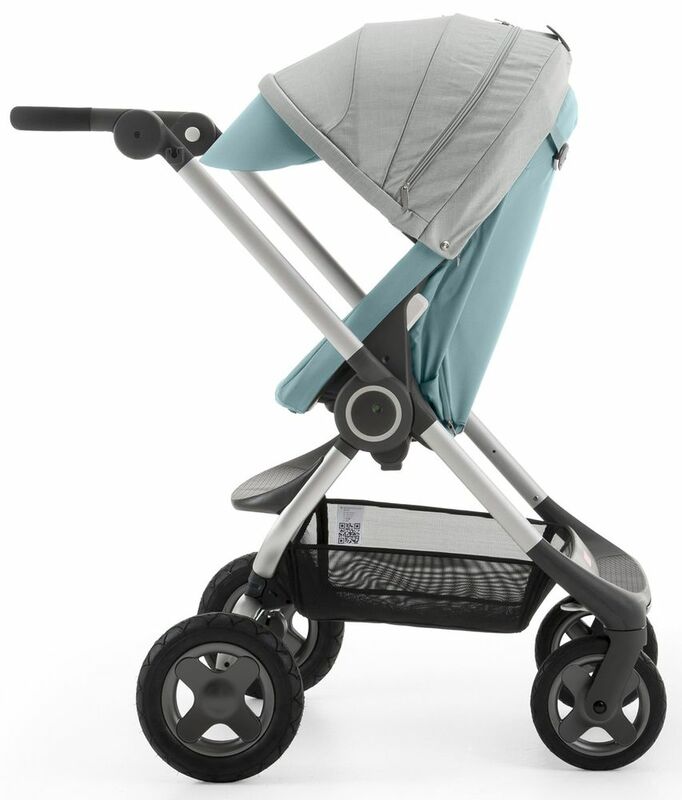 With the addition of Stokke® Scoot Softbag, the stroller is even more comfortable for the smallest of passengers. Two-way seat with 3 positions each way: Acitve, Rest, Sleep. 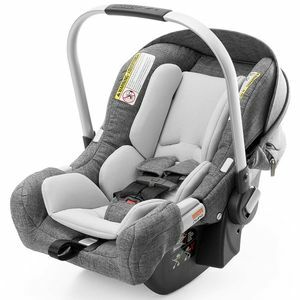 Roomy seat with superior ergonomics and adjustable hardness for baby comfort. 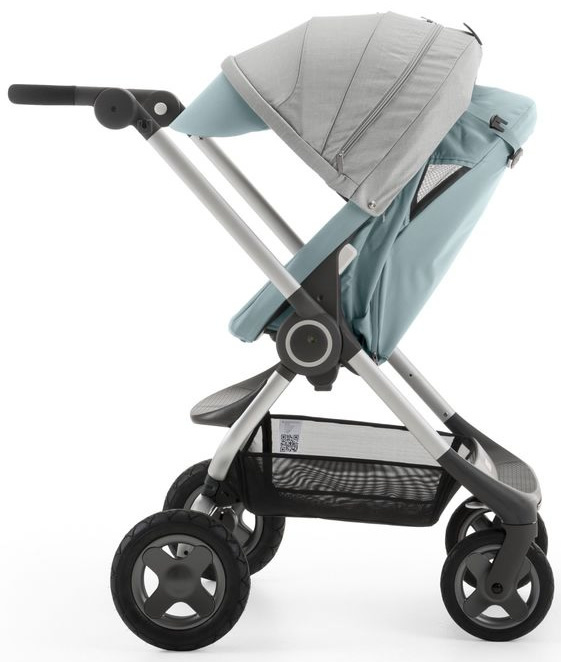 Stokke Scoot Seat can be used as a sibling seat with Stokke Crusi chassis. Ventilation both on canopy and on the side in sleeping position.